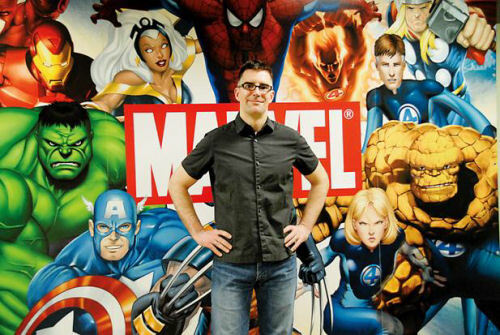 How do you get a job working at Marvel Comics? The most important thing, Rosemann said, is to publish great work, and use it to get noticed. Rosemann used the example of Sam Humphries, who self-published a one-shot called Our Love is Real, and now works regularly for Marvel. When editors read Our Love is Real, Rosemann said, "It was amazing, and we knew instantly that he had the stuff. And then we sought him out." And as Humphries' example showed, the size of the publisher is less important than the quality of the work. If it's good, Rosemann said, people will notice, and talk about it. "Sure, it helps if it's a known publisher like BOOM or IDW or DC or Vertigo or Image," he said. But mainly, "it just matters that you create incredible work." But, he added, that incredible work should come from the heart, and not be designed purely as a way to make it into Marvel. "Don't just chase the brass ring," Rosemann said. Instead, he said creators should follow their own passions, and create stories that mean something to them, even if it's not a genre or style that Marvel traditionally uses. "Do great work and we will find you." Rosemann added that if and when you do get an opportunity at Marvel, realize that you will need to create stories that work for them. And, he said, that includes realizing that publishing is driven by market forces, and most of the company's comics feature their largest, most popular characters. "Don't work forever and ever on your Power Pack pitch," Rosemann said. "It's not going to happen. But be ready when someone comes to you and says, 'do you have a Spider-Man story?'" 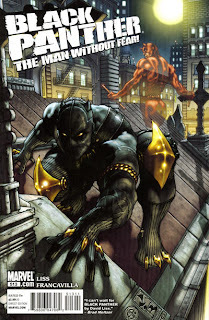 Rosemann noted that many Marvel creators have made this transition, and proved to be equally adept at personal, creator-owned work and large franchise stories. 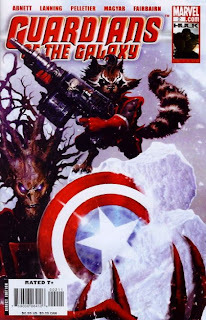 "If you look at a lot of the big names at Marvel, they started out doing very small, quirky, indie things," Rosemann said. "And now they're working on our biggest heroes." 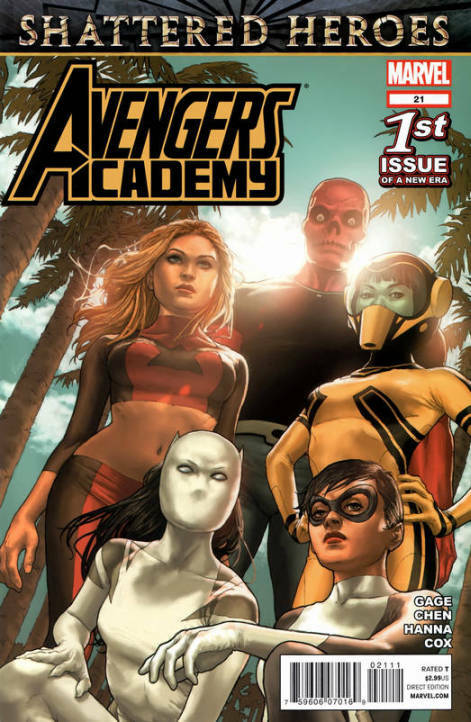 By the time a creator gets his or her first gig at Marvel, Rosemann said, they should already be working at a professional level, both in the quality of their work and in their ability to meet deadlines. "This isn't the tryout zone," Rosemann said. "I'm not going to say Marvel is the end-all be-all for every creator, but if this is baseball, we're the Yankees. We're the Dodgers. We're not the farm league. "Hopefully by the time we bring in a creator we'll have seen what they've done through self-publishing or through working for another company. They've sharpened their skills, and built up to that point." He also noted that professionalism goes beyond just the quality of the work, and also includes the creator's ability to meet deadlines. "We are starved for great talent," he said. "However it's no good if you're an amazing artist but you can't hit your deadlines on time. You have to be great and you have to be professional." In conclusion, Rosemann said that he wants to see everyone succeed, and to have the same chance that he had to make his mark in the comics industry. "The time is now, my friends. There's never been more opportunities. There's never been more chances to get your foot in the door," Rosemann said. 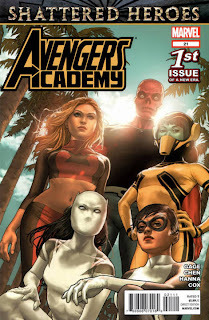 "In comics, with every generation a new group comes along and takes control. So, it's your time. Keep plugging away, and don't take no for an answer until you get that yes." * The way different books present different editing challenges. As an Editor, Bill has worked on projects such as Avengers Academy, Guardians of the Galaxy, Nova, New Mutants, Thunderbolts, Hawkeye & Mockingbird, Secret Warriors, The Thanos Imperative, Black Panther: The Man Without Fear, Marvel Zombies, Mystery Men and many others.